Last summer, as the Gulf oil spill was finally being brought under control, I found myself thinking about Hollywood disaster movies — and how they differ from real-world disasters. In the last few weeks, as tragic events have played out in Japan, I realized I'd left something out: the menace that can't be seen. Of course Hollywood's gotten good at conjuring up visual catastrophes. Filmmakers no longer have to guess about what one looks like. Not so many years ago, when an earthquake or tsunami struck, the chances that a camera crew would be on hand and pointed in the right direction were miniscule. Today, amateur videographers start whipping out cellphone cameras to document the unexpected, almost before they realize they should be running for cover. So when Clint Eastwood wanted to create a tsunami for the opening of his film Hereafter, he was able to make it verifiably, intensely realistic — realistic enough that Warner Bros. decided to pull the film from Japanese theaters earlier this month. But what about that post-tsunami threat in Japan — nuclear radiation? Hollywood has spent more than a half-century trying to figure out how to put that on screen. A nuclear blast it can show — shows all the time, in fact. But radiation is invisible, which is tricky for a medium known as motion pictures. Not impossible, mind you; Steven Spielberg famously made Jaws suspenseful largely by keeping his mechanical great white out of sight. He knew that what you couldn't see would scare you silly, so for the first half of the film, all he showed of his shark was a fin. The problem with nuclear radiation is there's no fin. Invisible means invisible. So filmmakers have had to look for ways to physicalize the idea of contamination. Were scientists in the 1950s saying radiation could cause mutations? Cue Godzilla. Also ants the size of buildings, and humanoids with superpowers. But those were transparently silly — at once obvious exaggerations and not nearly as scary as the real thing. 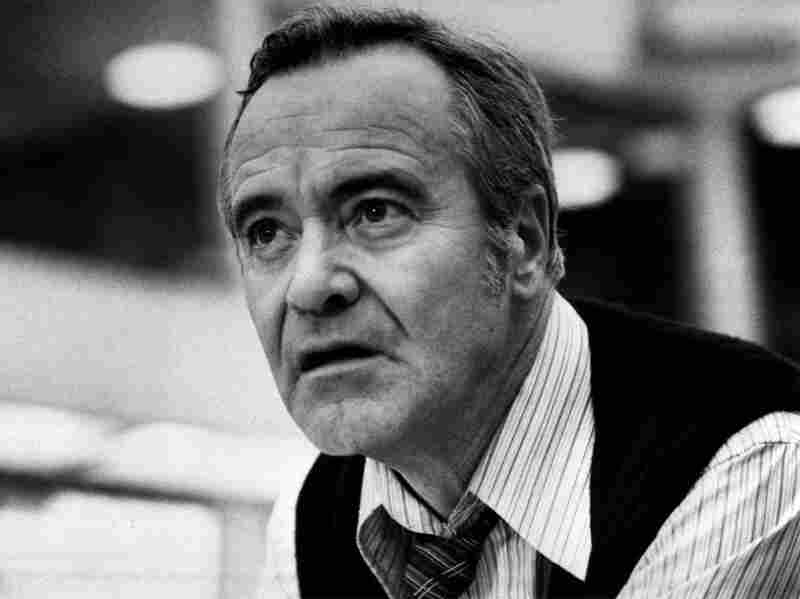 Jack Lemmon in "The China Syndrome"
So Hollywood needed other strategies. Geiger counters could at least make radiation sound alarming. And in a pinch, a director could extend "alarming" with an actual alarm or two — or six, as in the movie China Syndrome. None of this, though, is terribly cinematic; while those alarms are making all that racket, Jack Lemmon and his coworkers at the nuclear plant are stuck in a control room looking urgently at dials and gauges. 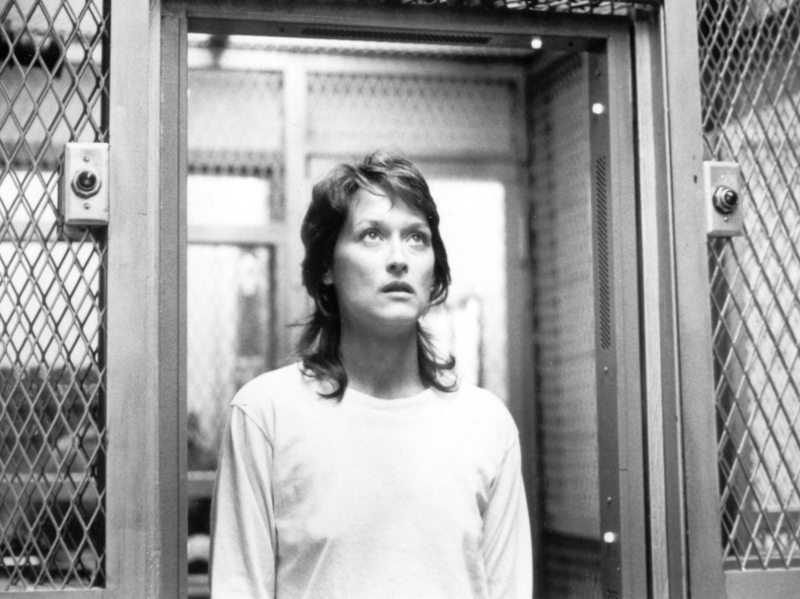 A few years later, to be both more visual and more visceral, the movie Silkwood would show audiences the effects of radiation — burned skin, nausea, hair loss, not to mention the brutal effort to cleanse a plutonium-plant worker after she'd been exposed. But that approach — almost immediately adapted in later films about toxic chemicals and other environmental horrors — risked turning radiation exposure into disease-of-the-week material. So directors kept experimenting. Horror flicks served up irradiated zombies. More serious pictures showed us grey landscapes that look not at all like the lush greenery that now surrounds Chernobyl. Cautionary these tales certainly were, but as news reports on Japan's crippled reactors remind us, they weren't quite real. For real, nobody has ever gotten it righter than director Stanley Kramer did way back in 1959. He was adapting Neville Shute's novel On The Beach, about a clutch of survivors in Australia about a year after World War III. Nuclear blasts and radiation had wiped out all animal life in the northern hemisphere. But Kramer didn't show any carnage. He just had submarine commander Gregory Peck let us know that wind currents had begun wafting south. The film never tried to show us the danger. Not with charts, or maps, or geiger counters. It didn't show bodies or burns. The characters we met were pictures of health. They weren't being affected yet. They just knew they would be, and soon, and horribly. So one by one, those last survivors took their own lives. On screen, in the end, radiation just ... wasn't. And neither were we.